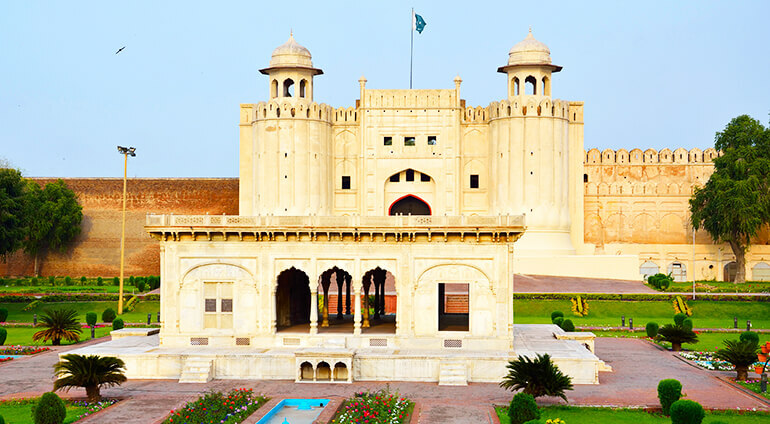 A city of culture, Lahore celebrates many diverse festivals across the year. The holy month of Ramadan is marked by most people in Lahore and usually take place across June and July. Marked by fasting from dawn to dusk, most businesses and restaurants are closed during Ramadan, making this a tricky time to visit for some. The Muslim religious holidays of Eid ul Fitr (which marks the end of Ramadan) and Eid ul-Adha (which honours the willingness of Abraham or Ibrahim to sacrifice his son) are both also key events in Lahore’s calendar. Arguably one of the city’s best-known events is Basant (or Jashn-e-Baharaan), which takes place in late January or February. This Punjabi festival celebrates the onset of spring and was traditionally celebrated with kite flying competitions, although this has been banned in recent years due to concerns over safety. The Festival of Lamps, or Mela Chiraghan, also takes place in spring, on the last Friday of March, and sees people gather near the Mughal monument of Shalimar Gardens to enjoy local music food and dance.